The application of test automation tools in a safety-critical context requires so-called tool qualification according to the applicable standards. The objective of this qualification is to justify that verification steps automated by the tool will not lead to faulty systems under test to be accepted as fit for purpose. 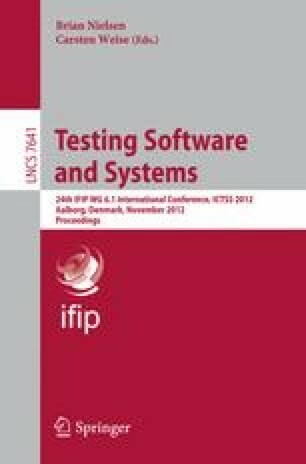 In this paper we review the tool qualification requirements of the standards ISO 26262 (automotive domain) and the new RTCA DO-178C (avionic domain) and propose a general approach on how to qualify model-based testing tools according to these standards in an efficient and at the same time reliable way. Our approach relies on a lightweight error detection mechanism based on the idea of replaying test executions against the model. We further show how the error detection capabilities can be integrated into a convincing argument for tool qualification, going through the necessary verification activities step-by-step. We highlight the key steps for the RT-Tester Model-Based Test Generator, which is used in test campaigns in the automotive, railway and avionic domains. The approach avoids having to qualify several complex components present in model-based testing tools, such as code generators for test procedures and constraint solving algorithms for test data elaboration.